Amaya Gaming is a Canadian based online games developer. The company’s presence in the market was boosted recently when it bought out software developer Chartwell. The combination of experience and expertise which these companies had built up over the years means that the newly expanded Amaya Gaming is definitely one of the names to look out for in the online casino business. The fact that Chartwell was such a powerful name in the online gaming business means that the Amaya buyout of this firm has enhanced its reputation greatly. This event happened in 2011 and we could easily look on it as the firm’s defining moment in recent years. The range of Internet games now offered by Amaya is impressively wide. As well as a big selection of slots games they also have table games and a number of other casino classics. An interesting addition to the casinos that use their software is the live dealer Blackjack game they provide. The Chartwell instant game platform they took on often comes packaged with NextGen and Cryptologic games, meaning that it is a powerful and exciting casino package. As well as the typical casino software download, these games can also be accessed on an instant play, Flash basis. There is also a mobile gaming option that allows players to access the games from a number of different mobile devices. As well as this, there is a progressive jackpot that is tied in to a number of the Amaya games. In total, the number of games that some people still refer to as Chartwell runs to 44 and includes 17 slots games and 9 different video poker efforts. These games are consistently praised by players and industry experts for being fast to play and visually excellent to look at. The slots games on offer include the likes of Arthur’s Quest and Oktoberfest. 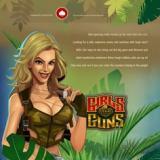 The games that have their roots in Amaya Gaming cover titles such as Deuces Wild and Joker Poker. The combination of the great games from these two backgrounds adds up to an alluring casino package that should suit most players. As well as the casino games that we are most interested in here, Amaya also produces the likes of lottery software, hotel entertainment systems and land based electronic horse racing games. In terms of players from around the world, the platform can cope with 24 different languages and a number of the most popular currencies. Customer support is delivered quickly and efficiently on a 24 / 7 basis. The Amaya Gaming approach to gaining gaming licences has been nothing if not comprehensive. Their software has been given the thumbs up by authorities in Malta, Alderney, Isle of Man, the UK and Gibraltar.